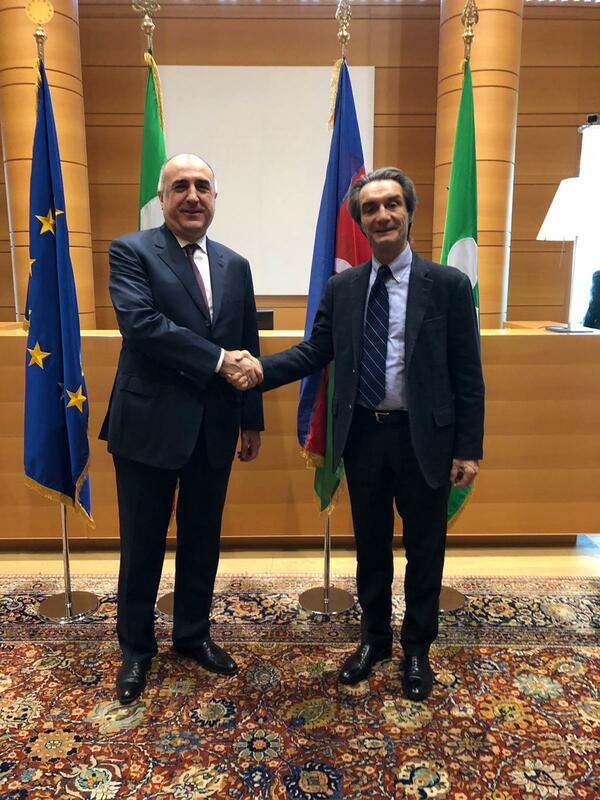 Foreign Minister Elmar Mammadyarov met Attilio Fontana, the president of the Lombardy Region of Italy in the framework of his visit to Milan. At the meeting a satisfaction was expressed over the current level of Azerbaijan-Italy relations and it was mentioned that bilateral beneficial cooperation exists in all areas, including the economic area, and Italy is the main trade partner of Azerbaijan. 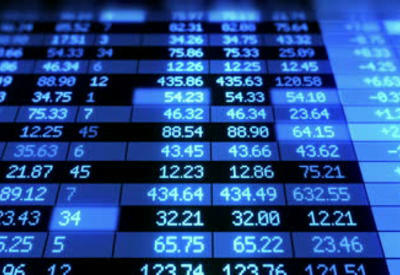 It was underlined that many Italian companies are operating in Azerbaijan, cooperation exists with the biggest Italian companies like Saipem, Eni, Snam, Maire Tecnimont whose headquarters are located in Lombardy, as well as the existence of direct flight between Milan and Baku is important from the point of developing relations between the two states in the sphere of tourism. Taking into account the crucial role that the Lombardy Region plays in economic and cultural life of Italy, certitude was expressed on additional contribution this region would make in further development of Azerbaijan-Italy relations. 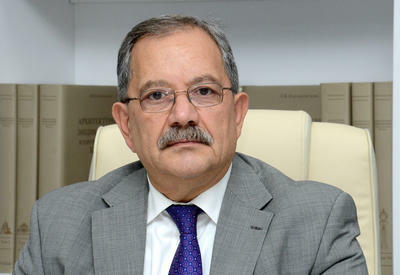 The president of the region of Lombardy shared his good memories of his visit to Baku in his youth, informed that he is aware of impressive achievements of Azerbaijan during the last years, expressed interest of the companies of the region headed by him in benefiting from new economic opportunities in Azerbaijan and pointed out that taking into account the high level scientific-technological potential of Lombardy, the development of relations between the higher education and scientific research institutions of both sides would be beneficial. Minister Elmar Mammadyarov noted that the intensification in the relations between Azerbaijan and Italy is observed over the last years, and in this regard especially the official visit of the President of the Republic of Italy Sergio Mattarella to Azerbaijan in July of this year and negotiations held with the President of the Republic of Azerbaijan Ilham Aliyev was underlined. Minister mentioned the opening of the Polymer Plant constructed by the Maire Tecnimont Company in the framework of “SOCAR Polymer” project within Sumgait Chemical Industrial Park with the participation of both of the Presidents. Informing his interlocutor on the development strategy of Azerbaijan, priority development directions, regional and globally important projects of Azerbaijan, including the leading role of the country in realization of the Southern Gas Corridor, Minister Elmar Mammadyarov invited Attilio Fontana together with the representatives of economic and scientific-academic circles of the region to our country in order to get better acquainted with Azerbaijan and discuss the cooperation opportunities in various fields. Accepting the invitation with great pleasure, the president of the Lombardy Region said that he intends to visit Azerbaijan with a large delegation in near future.